If there were a billboard top 100 for policy ideas, the Green New Deal would be at the top of the charts for several weeks running. It’s not a policy, or a bill--more like aspirations that combine swift action on climate change with broad social and economic reforms aimed to reduce growing inequality. On November 13th, a couple hundred activists marched into the Capitol, into soon-to-be Speaker Nancy Pelosi office demanding a Green New Deal. Just two months later, the phrase and the idea has spread quickly through America's political left. Already 45 Congress members have expressed support for it led by newly-elected House member Alexandria Ocasio-Cortez. Our guest, Alexander Kaufman, has been writing about the Green New Deal a lot lately for the HuffPost. He says that Ocasio-Cortez taking up the mantle in November was a breakthrough for the movement. 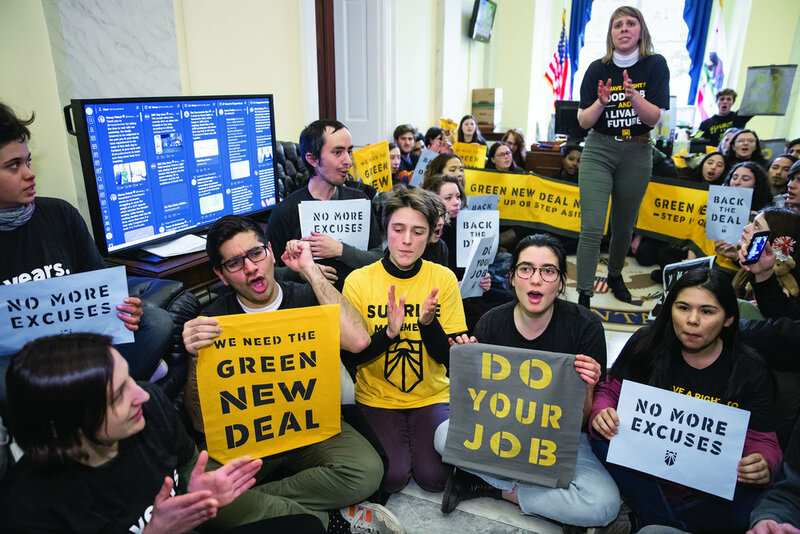 While it might seem like the Green New Deal is being talked about everywhere, a recent poll from the Yale Program on Climate Change Communication shows that 80 percent of people had not heard of it. BUT, when its core tenets were described, there was overwhelming support from both parties with 64 percent of Republicans overall saying that they would support something like that. “What that shows is that people do want these things and they understand that the government taking a really significant role in enacting a policy like this is a safe way to make the kinds of changes that need to be made to avoid what is coming down the pipeline right now,” Kaufman says. So what do we know about the details of what could be in the Green New Deal? And how would this all get paid for? Listen to the entire episode to find out. This episode is hosted by Reid Frazier and produced by Andy Kubis. Trump on Earth is a production of The Allegheny Front, a Pittsburgh-based environmental reporting project.